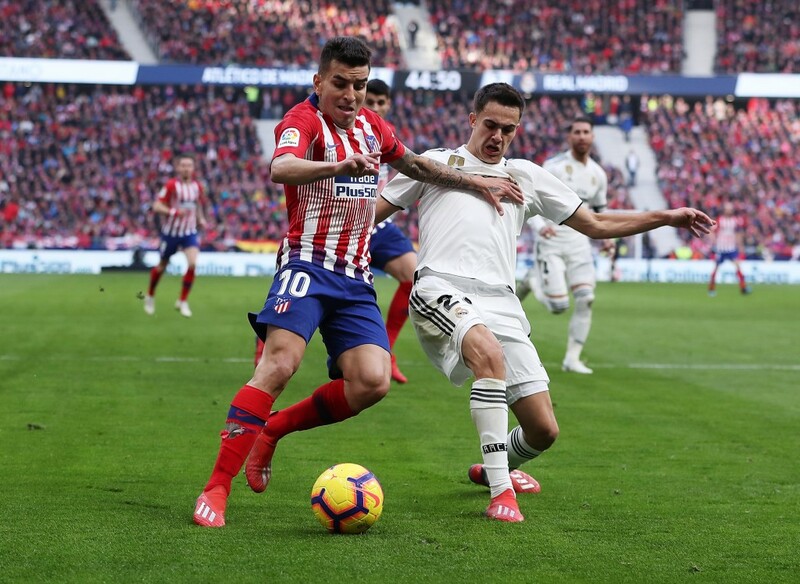 Vinicius Jr. provided the spark on the pitch for Real Madrid as they came away from the Wanda Metropolitano with a 3-1 win over Atletico Madrid. Real Madrid’s campaign turned a new and brighter leaf on Satuday. Los Blancos were going into the match knowing that a win will make them second but that Atletico Madrid were undefeated at Wanda Metropolitano this season. The hosts started the brighter of the two teams, dominating the first 10 minutes, with two half-chances coming their way. But, Real Madrid grew into the game and soon started asserting dominance in Atletico’s half. The 16th minute saw a piece of magic from Casemiro. The ball was loose in the box after the corner and the Brazilian showed he still has the Samba flavour in him, with a brilliant overhead kick to find the back of the net. Atletico though, soon replied courtesy of a good counter after recovering the ball near the halfway line. 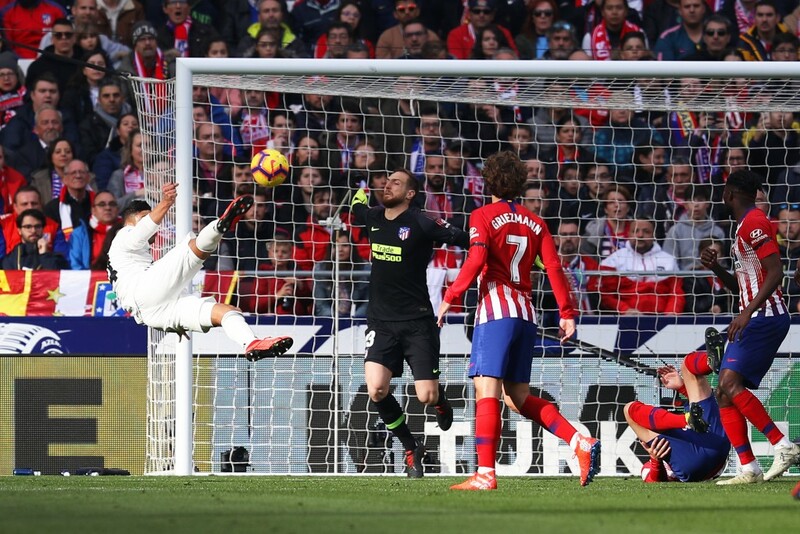 Antoine Griezmann nutmegged Thibaut Courtois for the equaliser, which Real Madrid were trying to get disallowed for a potential foul during Atletico’s attempt to recover the ball in midfield which led to the goal. Vinicius Jr.’s plight though, became too much to handle and the Brazilian earned a penalty while cutting inside towards the byline into the box. Sergio Ramos dispatched the penalty to restore Real’s lead. The second half saw Atletico come out the gates motivated. But, Alvaro Morata just didn’t seem to be in his elements. The one time he did manage to put the ball into the back of the net, the whistle had already blown. The game was evenly poised with Atletico searching for an equaliser. But, Luka Modric found Gareth Bale out wide who finished impressively to book all three points. We now take a look at how the individuals performed for Real Madrid. Courtois did not have much to do in the Madrid derby. He was genuinely called to action twice, once he did save while the other was another moment to forget for the Belgian. Courtois has conceded a lot of goals from between his legs since joining Real Madrid and Saturday saw Griezmann add another to the list. Needs to work on it as it is becoming a weakness that is now in public light. Didn’t do much throughout the game. Quiet and solid outing. Did win a free-kick towards the end of the game for a nasty foul on him. Still, a good comeback display from the Spaniard. The best of centre-back displays are often where you fail to remember a moment when the said defender was involved. Varane had the exact outing on Saturday night. Was hardly seen breaking a sweat. A very standard outing. Could have done nothing for the Griezmann goal as the Frenchman timed his run perfectly. Made five clearances in the game, the highest on the night. Saturday showed just why Varane is needed in that back four. Similar to Varane, Ramos was a bit more visible thanks to his converted penalty. 44 accurate passes with an accuracy of 94% was enough to ensure Real Madrid were building attacks from the back. Marcelo is set for a tough time in his attempt to convince Santiago Solari to regain his status as the first-choice, especially if Reguilon keeps on putting in displays like these against the big teams. Never looked fazed by the situation, putting in 3 successful tackles. Ventured forward whenever necessary. Becoming a real asset for Real. Yes, Modric got an assist at the end of the game, which calmed the proceedings down and ensured the win. But, the Croat was far from his usual self. Dispossessed five times, the Madrid derby was one of the rare matches he was carried by his midfield partners. A near-perfect performance from Casemiro, who has come under fire a lot this season for his inconsistent displays. Gave Real the lead through a picturesque overhead kick inside the box. 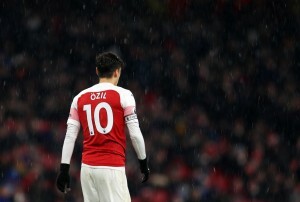 Coming to his duties, he was as solid as ever, with five tackles to his name – the most in the Madrid derby on Saturday. Absolutely bossed the midfield. Could be a monumental performance in winning the trust of Santiago Solari. Solid and quiet as ever. Kroos went about his business with his usual swagger. Did not commit any costly errors and was committed to the cause when it came to helping out Casemiro in midfield. Vazquez had a somewhat disappointing outing. Played the whole ninety minutes. But, the only thing one can’t fault the Spaniard on is his work-rate. 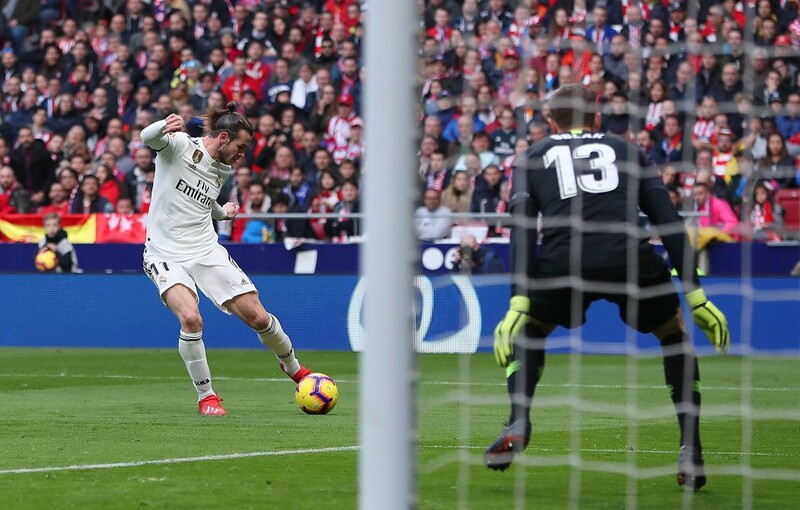 Ran his socks off on Saturday and while he was dispossessed four times, he did all he could to recover the ball or put pressure on the Atletico defence. Could have had a goal in the first half when Vinicius Jr. found him with a sumptuous outside-of-the-foot cross. One of those games where Benzema did not need to score a goal. He was heavily involved in the buildup and is always on the lookout for a ball to match his teammates’ runs. The Brazilian drove fear into the heart of the Atletico back four whenever he ran at them. Genuinely looked like a superstar on the field on Saturday. From the magical outside-of-the-foot cross to earning a penalty, Vinicius Jr. was a magician with his feet and he let it do all the talking. Looks like a generational talent and it’s his first real season in Europe. Baffling. After the Copa del Rey disappointment, Gareth Bale must have been charged to prove himself. And prove he did. Coming on for Vinicius Jr. around the hour mark, Bale was on the offensive from the get-go. His goal added more security to the scoreline. Took the goal well and is in with a great shout to start in Vazquez’s place in the next match. Came on late just to freshen up the midfield. Just a fresh pair of legs being brought on. Good to get some minutes under his belt. Atletico Madrid Casemiro Madrid derby Real Madrid Vinicius Jr.